The British Super-Middleweight blockbuster clash between bitter rivals James DeGale and Chris Eubank Jr., promoted by Premier Boxing Champions and Poxon Sports on Saturday 23rd February at The O2, will be broadcast exclusively LIVE in the U.S on SHOWTIME Sports. The chief-support heavyweight showdown between the defending Commonwealth Heavyweight Champion Joe Joyce and the challenger and Former WBC World Champion Bermane Stiverne, promoted by Poxon Sports in association with Ringstar Sports and Don King Productions, will be the co-feature on the SHOWTIME CHAMPIONSHIP BOXING® event. The event will be broadcast in the U.K exclusively live on ITV Box Office. 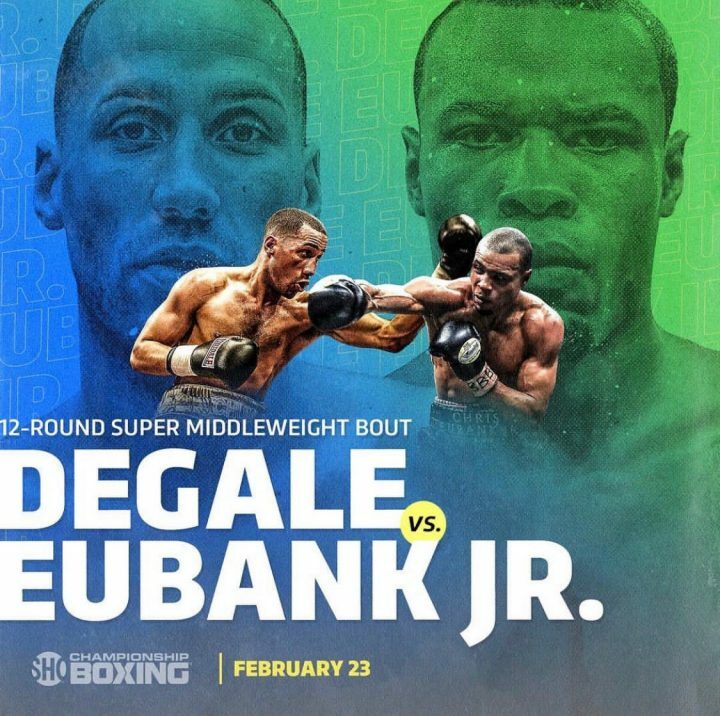 Fierce rivals DeGale and Eubank finally settle their long running war of words and animosity that stretches back to nearly eight years when they put everything on the line in their potential Super-Middleweight classic. SHOWTIME have a rich history in the British Super-Middleweight division having broadcast the now legendary battle between Nigel Benn and Chris Eubank Sr. in their 1993 epic rematch; Joe Calzaghe’s sensational victory over Jeff Lacy to unify the WBO/IBF World titles in 2006, described as the finest ever performance by a British fighter on these shores, amongst many others. Two-time IBF World Champion DeGale has had numerous big-fights in his illustrious career broadcast on SHOWTIME, including his biggest world title fights against Lucian Bute, Rogelio Medina and the thrilling unification fight against Badou Jack and also reclaiming his world title belt against Caleb Truax. For Eubank, this will be the first time that he has been introduced to U.S viewers and is looking to capitalising on his SHOWTIME debut in this highly-anticipated grudge fight.